Home Home Keeping How to Clean a Bike Chain? 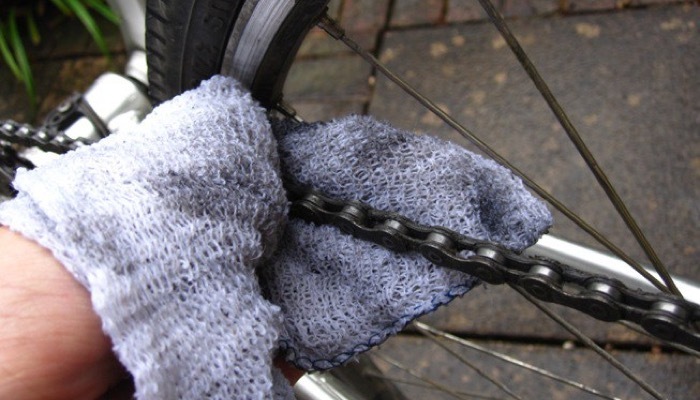 The chain tends to be one of the dirtiest parts of your bike so you need to learn how to clean a bike chain in order to properly maintain your bike. Bicycle chains eventually wear out for various reasons. Cleaning it regularly as needed can save you a lot of money, whether you have a hybrid bike, a mountain bike, a road bike, or other types of bikes. And you should always pump your tires. 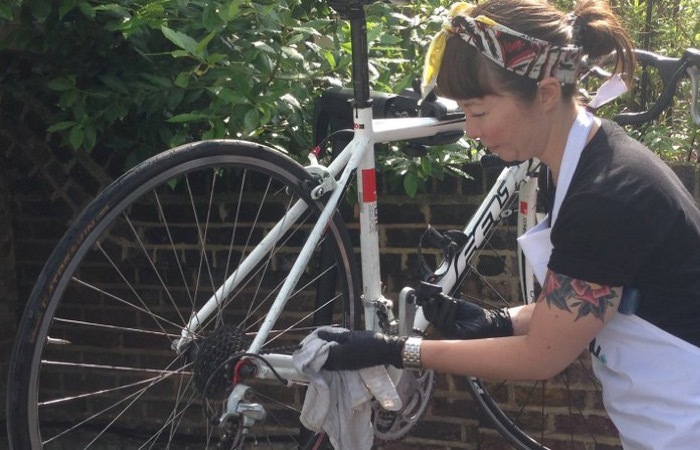 Why Do You Need to Clean a Bike Chain? Aside from the natural wear and tear, there are several reasons why you should clean a bike chain. 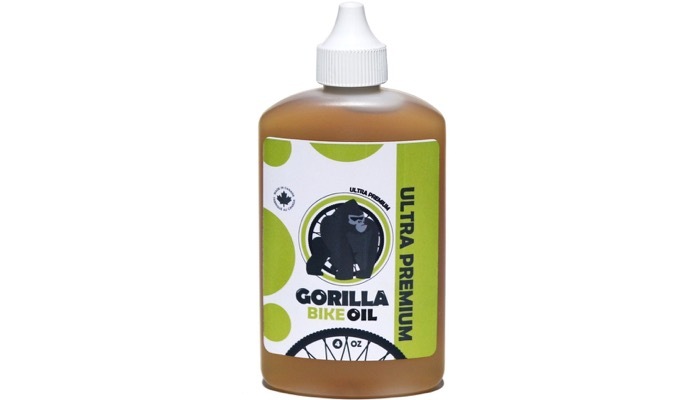 The dirt that it accumulates affects the longevity and performance of your bike. Its flexibility will be reduced and the shifting performance will also be affected. That means, you will have a much more difficult time shifting gears and that could also be dangerous on the road. You need to inspect your bike chain regularly and do some moderate or spot cleaning. To do this, look at the entire chain by lifting the rear wheel of your bike off the ground and using your free hand to slowly rotate the pedal. Inspect individual chain links to see if there is dirt buildup or rust and tight links. If the links do not bend with ease as they pass through the derailleur, that means your bike chain has tight links. You should also check if it has enough lubrication by listening for squeaks when you are riding your bike. If there are squeaks and the problems stated above, you need to do a spot cleaning. This is something that needs to be done every now and then and you can do it while the chain is still on your bike. We will discuss the steps in detail. Occasionally, with more intervals, aside from the spot cleaning, you would also have to do a more rigorous cleaning of your bike chain every few months. 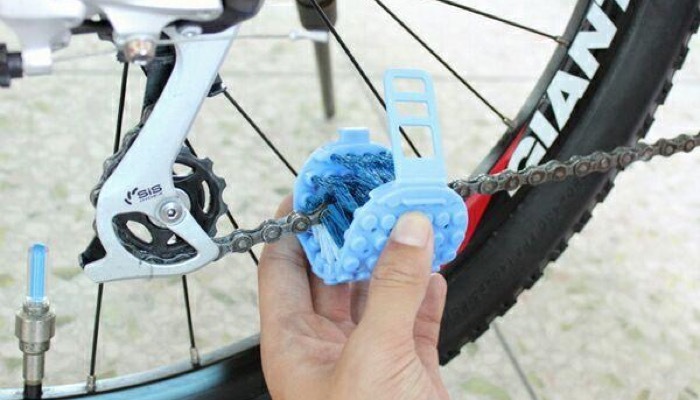 You would have to completely remove the chain to clean a bike chain. 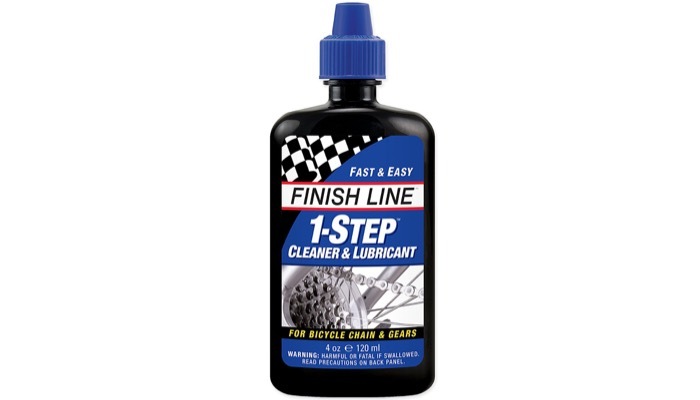 So what are the steps to clean a bike chain? To do the regular cleaning without removing your chain from the bike, all you have to do is to condition the chain. Brush out the links on your chain using a firm brush. You can also use an old toothbrush if you don’t want to purchase extra tools. Lubricate the links with a chain lubricant. To do this, lift up the rear of your bike as stated above when checking if it’s time to clean a bike chain. Rotate the chain by rotating the pedal, the apply the lubricant to the chain as it rolls. Wipe off excess lubricant using a clean and dry rag. Be careful not to over lubricate your bike chain because it could attract new dirt. 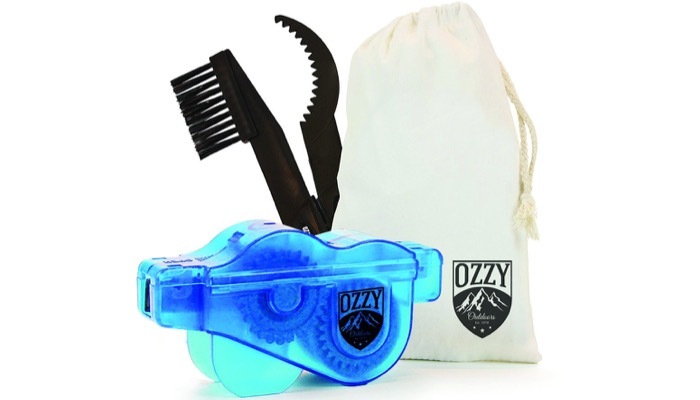 You can also use a chain cleaning tool that can be attached to your chain for more thorough cleaning. When it’s time to remove your chain to clean a bike chain after a few months, completely remove your chain with a chain removal tool. Brush the chain well and then submerge it in a chain solvent. This will get rid of grime that has built up and has not been removed by brushing and moderate cleaning. Let it soak in the solvent until most of the dirt has been detached from the links. Make sure to dry the entire chain by wiping it with a clean rag and that the solvent has evaporated before putting it back. Once it’s completely dry, apply lubricant again and reinstall the chain to your bike. When checking for grime and dirt, and you notice that your chain has tight links, it means you need to clean a bike chain. This is when the links no longer bend smoothly as you pedal. To determine if you have tight links, slowly pedal your chain backward and try to see if each link passes through the tight turns. Tight links are caused by dirt and corrosion. 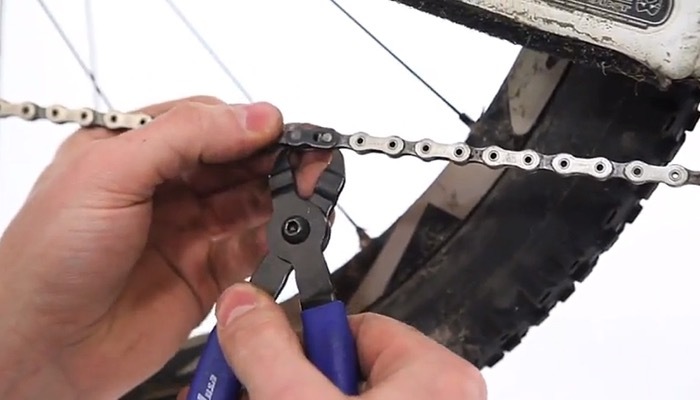 Aside from on-bike cleaning, you can fix tight links on your chain by a little bit of flexing back and forth. You might also get tight links as a result of improper link pin installation. You can work them back into position by shifting the links back and forth using your hands or a chain tool. However, if the tight links are due to a serious damage, the chain should be completely replaced. Another thing that happens to a bike chain due to wear and tear is that it becomes longer. It’s called a chain stretch. It could cause the gear to skip in some cases. Aside from that, it may also cause extra wear and tear on the chainrings and rear cog teeth. You should avoid getting damage to the cog set as much as possible because it’s much more expensive to replace. So if you notice this problem after you clean a bike chain, it’s better and much cheaper to replace the chain. You can use a tool called a wear indicator tool to check for chain wear. Remember to always lubricate before re-installing your bike chain after any maintenance procedure, but not too much. 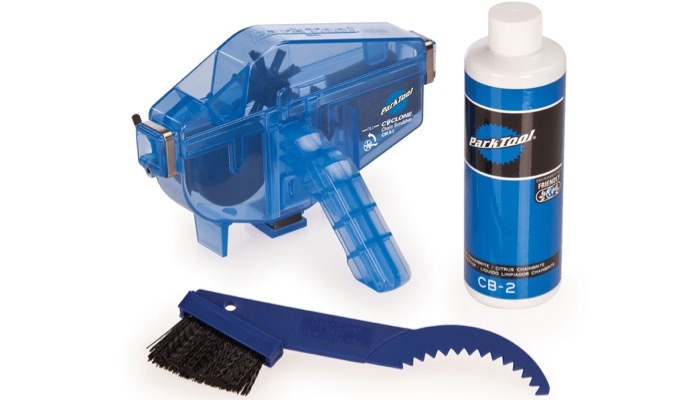 Here are some products that could help you to maintain and clean a bike chain. Following these tips on how to clean a bike chain regularly will ensure that your chain lasts longer and maintains optimum performance. Cleaning your chain is required no matter what type of bike you have and whether you use it regularly or occasionally. It will also save you a lot of money in the long run by avoiding serious repairs and buying replacements sooner than you should.